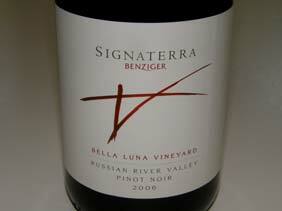 Benziger has invested heavily in a Sonoma Coast Pinot Noir program. In 2000, Meia Angleman and Algeo Casul were looking for a buyer to take over their ranch west of Occidental. It had been in the family for over 100 years, and they had never treated the property with chemicals. 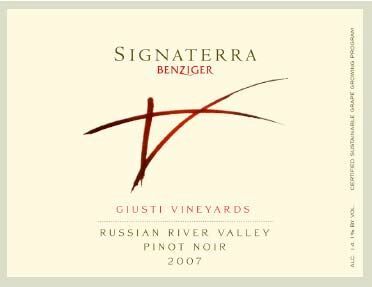 They approached the Benzigers, impressed by their committment to biodynamics and the company signed a 45-year lease and planted Pinot Noir. 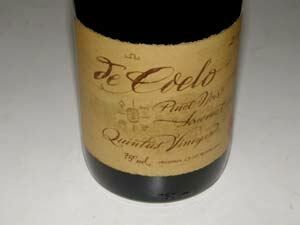 The de Coelo (day-chay-lo) Estate Vineyard is perched on a rugged hilltop five miles from the Pacific Ocean, where rocky, shallow soils and the cooling fog off Bodega Bay create ideal conditions for exceptional Pinot Noir. 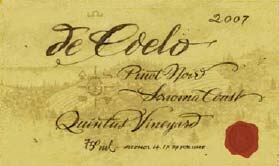 Because of the very cool temperatures in this part of the Sonoma Coast, the 25-acre, certified-Biodynamic de Coelo is truly on the edge of where Pinot Noir will grow. The vineyard’s name means “that which is from heaven”—a moniker befitting an estate that nurtures intensely flavorful fruit and a wine of complexity, rich concentration and a strong backbone. 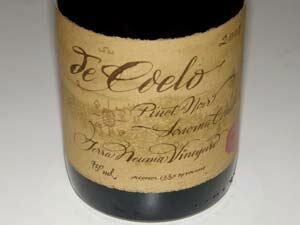 There are two bottlings from the de Coelo Vineyard: Terra Neuma is from deeper soils and is the richer of the pair, while Quintus is from a lower elevation with less topsoil and is more delicate. Both are site-driven wines. With the 2005 vintage, this wine will be certified Biodynamic. Benziger's sustainable philosophy promotes natural vineyard management, restoration of the land and biodiversity on their estate. They believe these practices result in wines that reflect the authentic flavors, aromas and character of the vineyard. Rodrigo Soto came from his native Chile to revamp the Benziger Pinot Noir program, but resigned in 2011 to return to Chile and was replaced by Jeff McBride who had been Vice President of Winemaking at Ste. Michelle Wine Estates. McBride's experience includes more than three decades of winemaking including stints at Kenwood, Dry Creek Vineyards and Stag's Leap Wine Cellars. 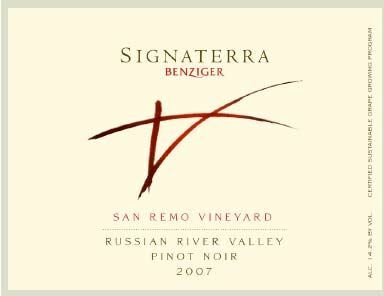 Benziger has produced a Sonoma Coast appellation Pinot Noir and a vineyard-designate Pinot Noir (Ricci Vineyard) from Carneros. 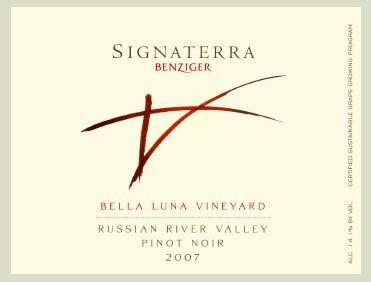 Under the Signaterra label, Russian River Valley single-vineyard Pinot Noirs are produced from Bella Luna Vineyard, San Remo Vineyard and Giusti Vineyards. The winery, located in Glen Ellen, offers extensive tours of the vineyards and a tasting room. The winery is seriously committed to farming by biodynamic methods. 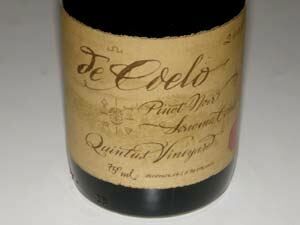 The wines are sold through the website and retail channels.